That’s the date this year that we set up our first tree. A little crazy, I know. But I was excited. And, more importantly, my youngest was excited. In fact, I had planned to wait another week or two but come that rainy Saturday afternoon, he decided it was time. We needed the tree up and we needed to decorate it. Let’s just say I helped spread the ornaments around a little more evenly after we were “done”. But even though it seems crazy to many, I love how excited he gets about Christmas. And I truly think there is something magical and happy about having those glowing tree lights around as the days get shorter and darker and colder. We bought our huge green tree a couple of years back, and this year I tried to lighten it up by sticking with tons of big, chunky, dramatic light toned ornaments and decorations along with a feather-duster garland (I talked about it in this post as well). I think overall it just might be my favourite Christmas tree yet. I’m calling it cozy ski-lodge chic. Does that sound about right? I’m super thrilled to be taking part, once again, in the My Home Style Christmas Tree Edition, Christmas tree decor hop. At the bottom of this post I’ve linked to all the other bloggers who are sharing their Christmas Tree style this week! Thanks to Stephanie of Casa Watkins for hosting this tour each year! I love taking in all the fun Christmas tree styles. 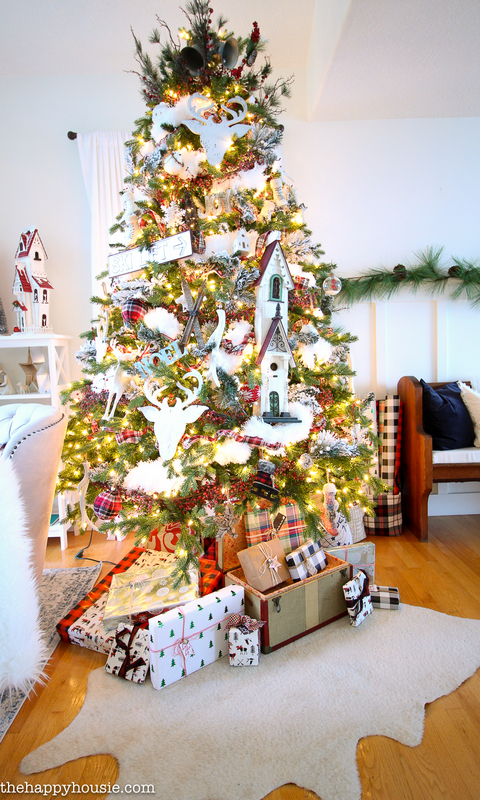 It’s truly amazing how many different ways a tree can be decorated! 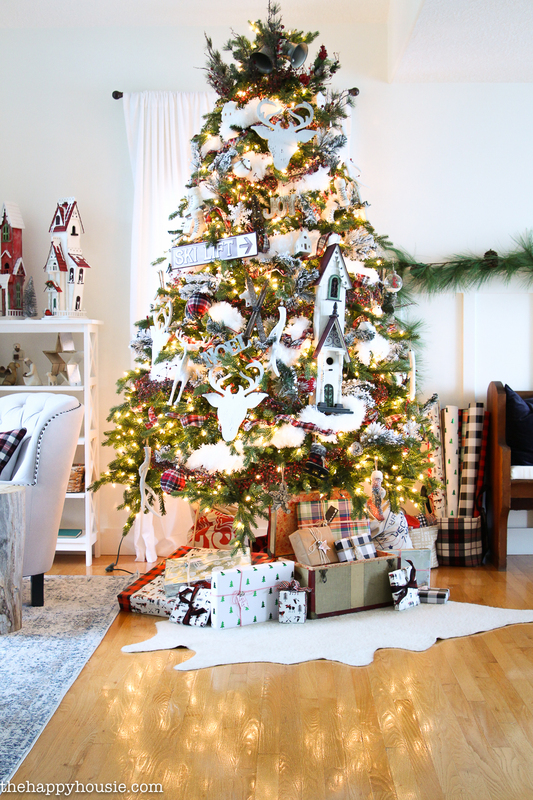 If you love it, then I’ve gathered together some similar finds to help you create this look on your own Christmas tree! 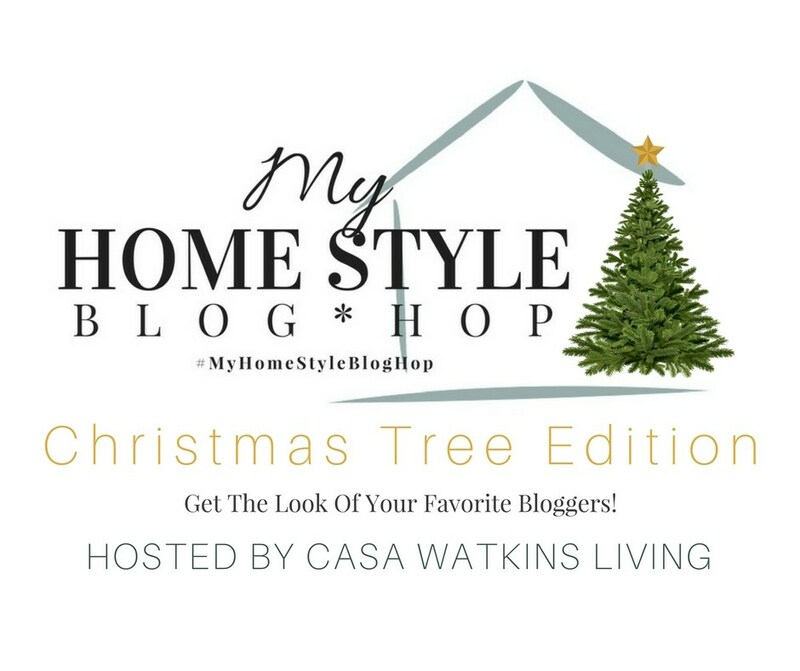 And as I mentioned, this week, 25 of my fellow bloggers are sharing their Christmas tree home style as well! It’s wonderful, And certainly feel your enthusiasm. For me November is for Fall, Thanksgiving and all that it brings to the table. Pilgrims, corn stalks, turkey decor, pretty leaves, the colors of Fall. Represents the change of season, Mother Nature and history, that I do not want to miss out on even if it makes a little tighter decorating times. I am glad my Mother gave that to me to carry on. Then, December brings Christmas and brand new excitement! No such thing as too over the top ;). I love the big scale of the ornaments and decorations! 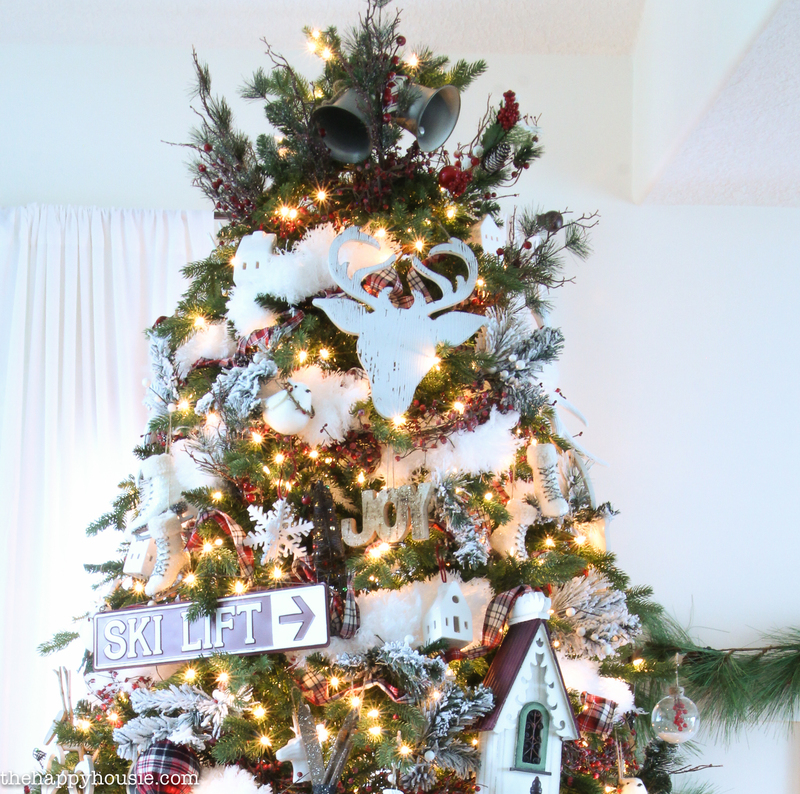 This is a great Christmas tree theme Krista, especially for Christmas in Canada! It makes me reminiscent of my childhood winters spent on the ski slope! I am right there with you — I pulled out my tree the day after Halloween! I just love having my decorations up for as long as possible! 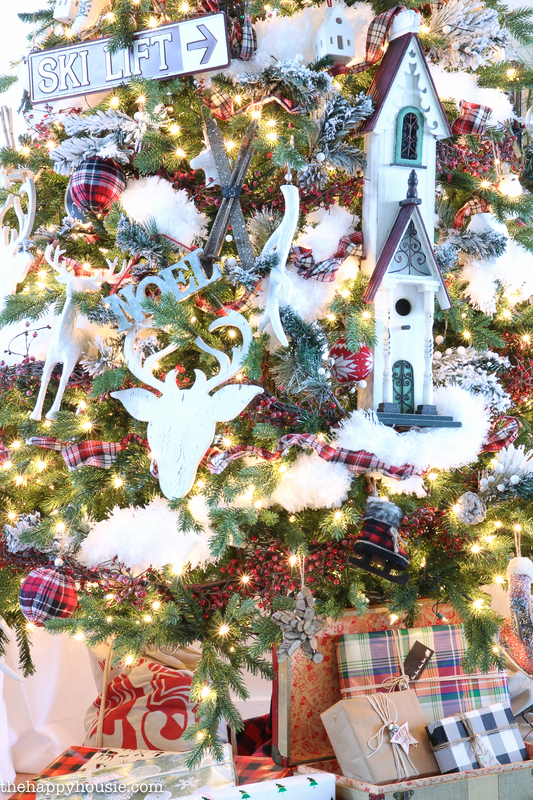 Your tree is beautiful, Krista! What a fun tree! 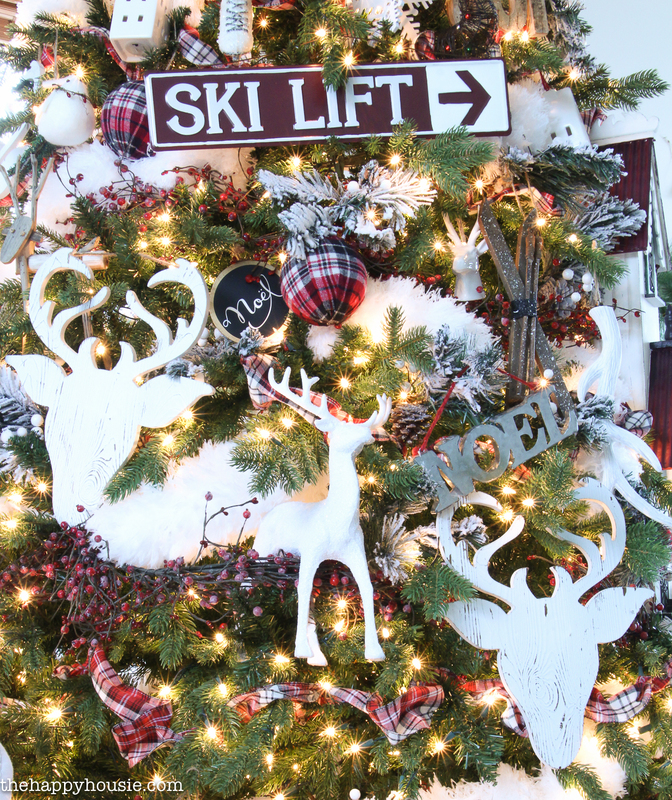 I love all the big elements, the house, the deer head, the ski lodge sign… it’s whimsical and magical! The snow through the tree is a lovely touch, too. I think my favourite part is that fuzzy garland! How cute?! Beautiful tree friend! Yes! 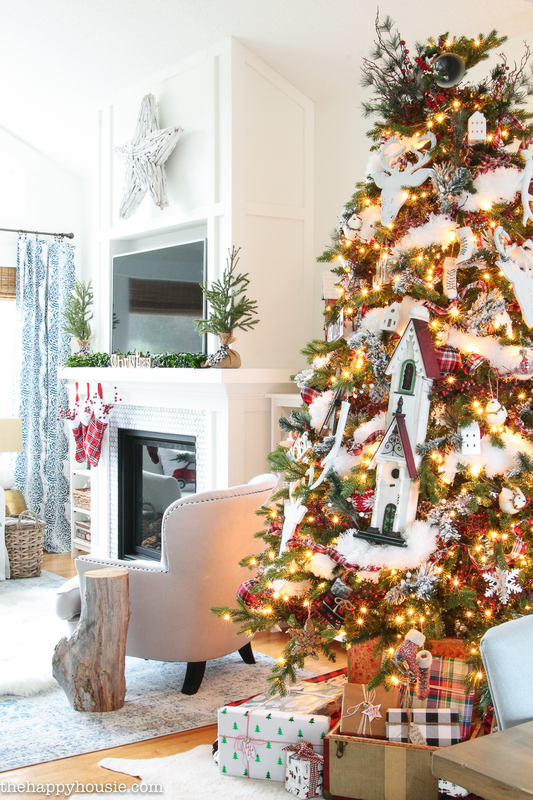 Ski Lodge Chic is perfect for your tree! Love all the snowy and cozy elements. So pretty! It’s like taking a vacation in the mountains! I adore the ski chalet feel and the special lodge styling. Beautiful combination of colors and patterns too! Just spectacular! I also think it’s amazing! I like the use of the large-scale pieces, the really “make” the tree. Great job! It’s charming and beautiful! Love it! That is a look I could really embrace! Good job!